REFERENCES: 1. Niferex™ Prescribing Information, Avion Pharmaceuticals, LLC, 2016. 2. Kamdi SP, Palkar PJ. Efficacy and Safety of ferrous asparto glycinate in the management of iron deficiency anaemia in pregnant women. J Obstet Gynaecol. 2014; Early Online: 1-5. doi: 10.3109/01443615.2014.930098. Accessed December 29, 2014. 3. Data on File. Avion Pharmaceuticals LLC, Alpharetta, GA. 4. Bovell-Benjamin AC. Viteri FE, and Allen LH. Iron absorption from ferrous bisglycinate and ferric trisglycinate in whole maize is regulated by iron status. Am J Clin Nutr. 2000; 71:1563-1569. 5. Pineda O, Ashmead HD, Perez JM, Lemus CP. Effectiveness of iron amino acid chelate on the treatment of iron deficiency anemia in adolescents. J App Nutr. 1994; 46(1,2):2-13. 6. Duque X, Martinez H, Vilchis-Gil J, et al. Effect of supplementation with ferrous sulfate or iron bis-glycinate chelate on ferritin concentration in Mexican schoolchildren: A randomized controlled trial. Nutr J. 2014; 13(71):1-10. Doi:10.1186/1475-2891-13-71. Accessed January 5, 2014. 7. Szarfarc SC, Nunez de Cassana LM, Fujimori E, Guerra-Shinohara EM, de ‘Oliveria IMEV. Relative effectiveness of iron bis-glycinate chelate (Ferrochel) and ferrous sulfate in the control of iron deficiency in pregnant women. Arch Latin Nutr. 2001; http://www.scielo.org.ve/scielo.php?script=sci_arttext&pid=S0004-06222001000500009&I-ng=en&nrm=iso. 8. Allen LH, Nutrition Reviews, Vol. 60, No. 7, July 2002: (II)S18-S21. Advantages and Limitations of Iron Amino Acid Chelates as Iron Fortificants. 9. Alleyne M., Horne M, Miller J, Individualized treatment of iron deficiency anemia in adults. Am J Med. 2008; Nov. 121(11):943-948. 10. Jacobs P. Wormals LA, Gregory MC. Absorption of iron polymaltose and ferrous sulphate in rats and humans. S Afr Med J. 1979; 1065-1072. 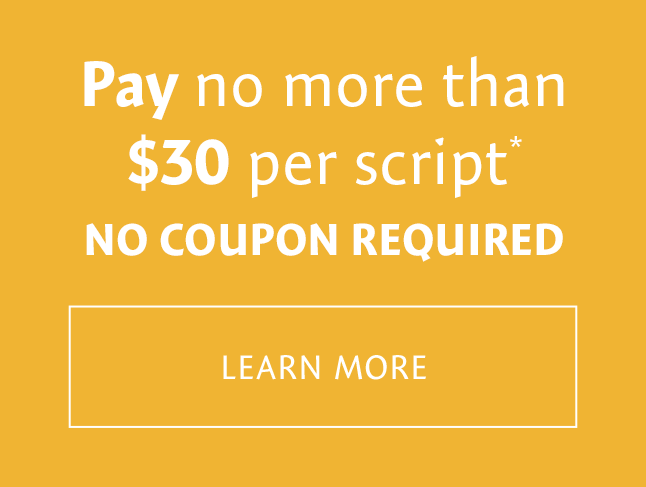 *Most eligible patients will pay no more than $30 for each Niferex™ fill. After the first $30 out of pocket, Niferex™ covers the remaining co-pay up to $60. This offer is good for 12 fills. 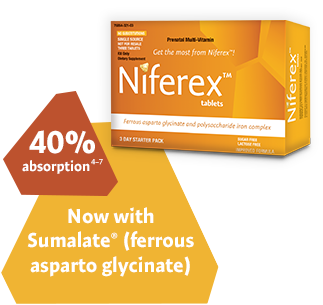 Niferex™ is a trademark of Avion Pharmaceuticals, LLC, all rights reserved.